The Last American Vagabond’s collection of books designed to expand the mind. Why did the 1917 American Red Cross Mission to Russia include more financiers than medical doctors? Rather than caring for the victims of war and revolution, its members seemed more intent on negotiating contracts with the Kerensky government, and subsequently the Bolshevik regime. In a courageous investigation, Antony Sutton establishes tangible historical links between US capitalists and Russian communists. Drawing on State Department files, personal papers of key Wall Street figures, biographies and conventional histories, Sutton reveals: the role of Morgan banking executives in funneling illegal Bolshevik gold into the US; the co-option of the American Red Cross by powerful Wall Street forces; the intervention by Wall Street sources to free the Marxist revolutionary Leon Trotsky, whose aim was to topple the Russian government; the deals made by major corporations to capture the huge Russian market a decade and a half before the US recognized the Soviet regime; and, the secret sponsoring of Communism by leading businessmen, who publicly championed free enterprise. “Wall Street and the Bolshevik Revolution” traces the foundations of Western funding of the Soviet Union. Dispassionately, and with overwhelming documentation, the author details a crucial phase in the establishment of Communist Russia. This classic study – first published in 1974 and part of a key trilogy – is reproduced here in its original form. (The other volumes in the series include “Wall Street and the Rise of Hitler” and a study of Franklin D. Roosevelt’s “1933 Presidential election in the United States”). Enter Planet “Earth”. It is a cold, dead place. Agent Kale Taggens knows this, Detectives Jerry Howard and Ray Combs know this, and Officer Dave Winslow does as well. Donny Matheson, however, is just learning. When a lethal viral outbreak in the US is revealed as a government cover-up on live television, four extra-dimensional entities in black cloaks are revealed to be behind the waves of unnatural deaths. Upon announcing their need for the teenager Donny Matheson at all costs, they promise the continuation of civilian death every day that he is out of their grasp. Agent Kale Taggens, field agent of the UOIA (Unusual Occurences Investigative Agency) an ominous government branch of services, is sent to find and retrieve Matheson before the body count rises. Jerry Howard, Ray Combs, and Dave Winslow find themselves with nothing left but a fighting chance against these four cloaked beings called “The Fallen”. But will any of it matter in the end? Welcome home, to a cold dead place. Crackling with the personalities, conflicts, and ambitions that transformed the media from something that followed the news to something that formed it, “The Powers That Be” is David Halberstam’s forceful account of the rise of modern media as an instrument of political power, published here with a new introduction by the author. Beginning with FDR’s masterful use of radio to establish the sense of a personal, benevolently paternal relationship with the American people and culminating in the discovery and coverage of the Watergate break-in, Halberstam tracks the firm establishment of the media as a potent means of shaping both public opinion and public policy.He tells the story through vivid, intimate portraits of the men, women, and politics behind four key media organizations: CBS and its board chairman William S. Paley; “Time” magazine and its cofounder Henry Luce; the “Washington Post” and successive publishers Philip Graham and his wife, Katherine; and, the “Los Angeles Times” and publishers Norman Chandler and his son, Otis. Nineteen Eighty-Four is a dystopian novel by English author George Orwell published in 1949. The novel is set in Airstrip One (formerly known as Great Britain), a province of the superstate Oceania in a world of perpetual war, omnipresent government surveillance and public manipulation, dictated by a political system euphemistically named English Socialism (or Ingsoc in the government’s invented language, Newspeak) under the control of a privileged Inner Party elite, that persecutes individualism and independent thinking as “thoughtcrime”. The tyranny is epitomised by Big Brother, the Party leader who enjoys an intense cult of personality but who may not even exist. The Party “seeks power entirely for its own sake. It is not interested in the good of others; it is interested solely in power.” The protagonist of the novel, Winston Smith, is a member of the Outer Party, who works for the Ministry of Truth (or Minitrue), which is responsible for propaganda and historical revisionism. His job is to rewrite past newspaper articles, so that the historical record always supports the party line. Smith is a diligent and skillful worker but he secretly hates the Party and dreams of rebellion against Big Brother. 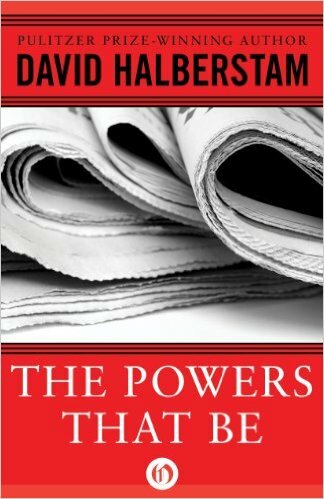 A great read and has many parallels with the state of American politics and constitutional rights. “Vagabonding” is about taking time off from your normal life — from six weeks, to four months, to two years — to discover and experience the world on your own terms. Award-winning writer (and veteran shoestring traveler) Rolf Potts shows how anyone armed with an independent spirit can achieve the dream of extended overseas travel.